Out of all the lovely restaurants near Zhongxiao Dunhua station, we only wanted to have Lee's Tea Shop's Chicken Chops. My friend and I both got Chicken Chops (NT$50 or Php 72) and Salt & Pepper Fries (NT$50 or Php 72). After getting our things from the apartment. 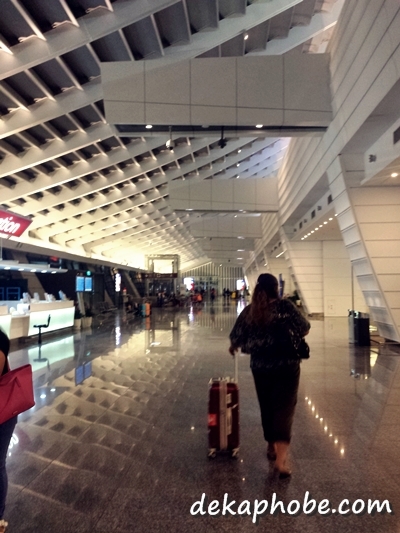 We headed out to Taipei Main Station and walked towards the Taipei West Station Terminal. Mind you that there is almost a 2-km walk from Taipei Main Station to the West Station, so it would be better to get a cab or a bus to the West Station, if possible. Taoyuan International Airport is located 40km away from Taipei so I wouldn't recommend that you ride a cab directly to the airport. From the West Station, we paid NT$125 (Php 181) each for the bus to the airport. The travel time is 40 minutes on average, depending on the traffic. I enjoyed reading your Taiwan blog entries! Really helpful as I am heading to Taiwan this May. Thank you!